Secure access to state-of-the-art data visualization and analytics, when and where you need it. Users turn on accounts and services on an as-needed basis. Computing resources are dynamically allocated based on demand. Guaranteed availability and frequent feature enhancements. Browser based tools and workflow enhancing features provide valuable sensor data insight. sensemetrics SaaS modules provide advanced functionality for markets and applications that require specialized workflows and tools. Powerful tools for report creation and distribution, and linking reports to real-time charts, graphs, maps, and dashboards. Visualize and analyze remote sensing data in geospatial context with distributed sensor networks. Unparalleled insight into slope movements with real-time displacement data appearing as color-coded vectors. Management and visualization tools for outdoor condition monitoring of weather, air quality, and particulates. 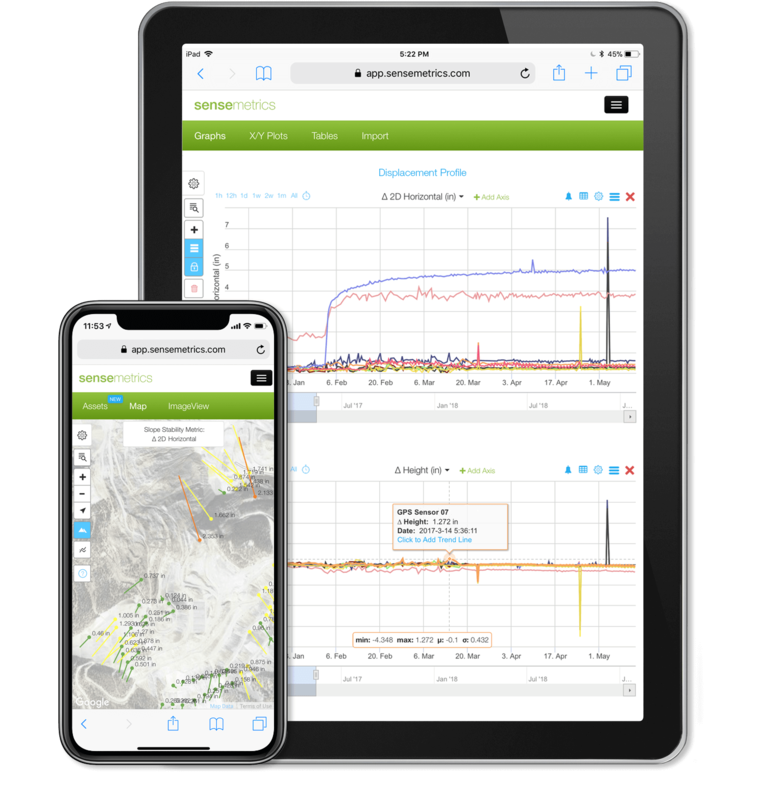 Perform automated and near real-time limit equilibrium slope analysis of soil or rock slopes with streaming sensor input.